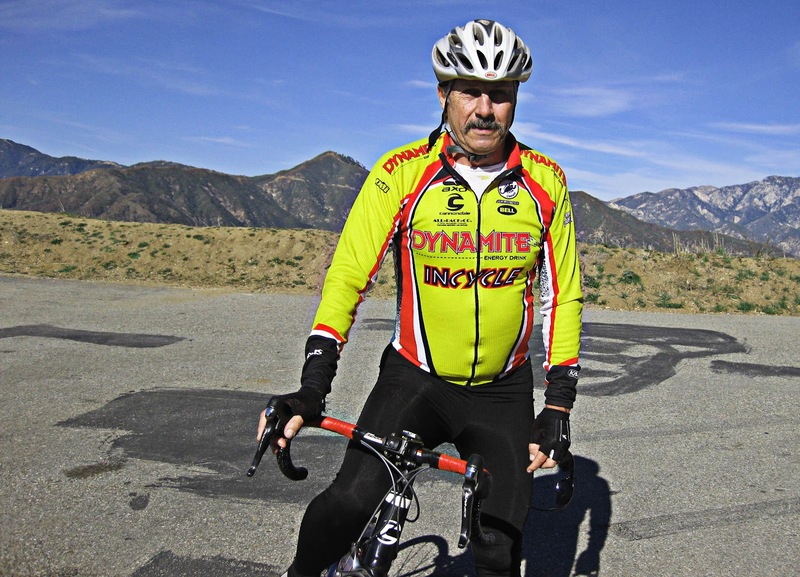 I have it in my head to ride to Mt Baldy on my fixed gear bike. Riding fixed gear is a new challenge. 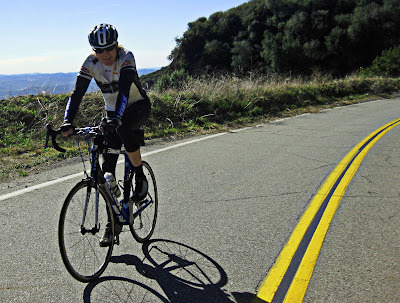 Today I decided to ride Glendora Mountain Road with the idea to do Fork Plus Two. When I first started riding GMR, I had one goal, to ride to Mt Baldy. That's when I came across GlendoraMTNRoad.com. 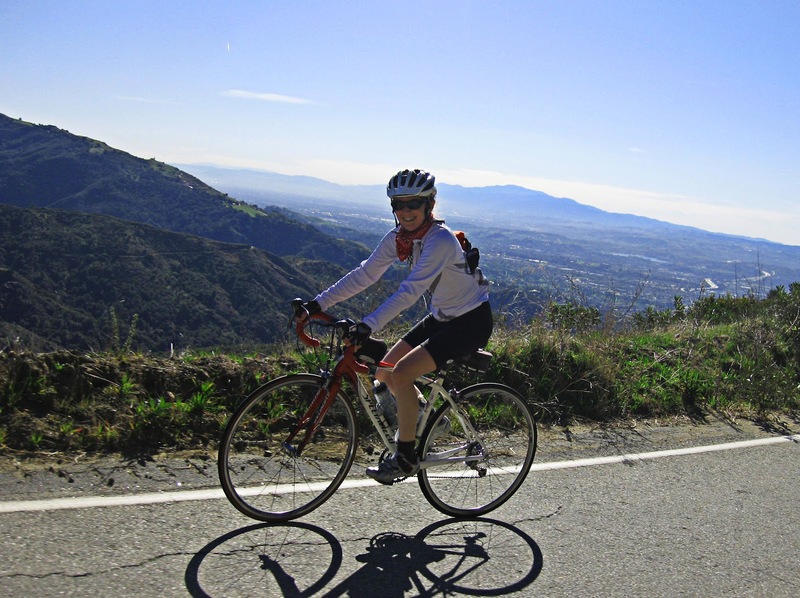 Annette had a system of getting to Mt Baldy one mile at a time. Train to get to East Fork, then progressively add another mile past the fork until you make it to Mt Baldy. 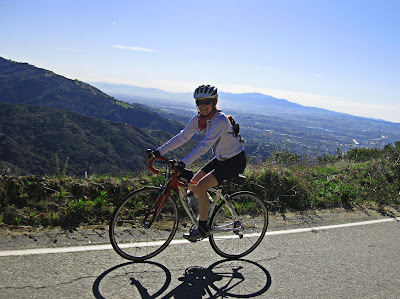 I've been to Mt Baldy many, many times on my geared bike. Its fun and a great exercise but now I want to try it on my fixed gear. When I left my house at 7:30am it was still pretty cold. Maybe 40 degrees Fahrenheit, which is cold for my California blood. Unlike last week, I was a little more prepared for the cold weather. I had arm warmers, vest and wool cycling cap to keep my core warm. As I made my way west on Foothill I knew I was in trouble. I just didn't have any power. It was a stressful work week and by Friday, I was exhausted. So I decided to work on turning circles and I managed to pull it together and get to Sierra Madre and Glendora Mountain Road. Between Boulder Springs and Big Dalton on GMR the grade is, well, STEEP! This proved to be an unwelcome shock to my system. Ugh! If I wasn't so stubborn and didn't have it in my head to do Fork Plus 2, I would have turned around at that point. Man did that climb hurt. Fast Forward - Fork Plus 1.99 and then some. I turned around just past the 1.99 mile marker sign. I stopped to take a few pictures. It was a clear morning. So far the weather has been amazing in Southern California. Annette and Bill were out as usual. If its Saturday you can always count on seeing both Annatte and Bill out on GMR. On the way down I spotted Matt and a Motorcyclist talking just below Newmans. I guess a skateboarder crashed and they were making sure he was alright. Setting up the shot - Annette and I joked about setting up our photographs. 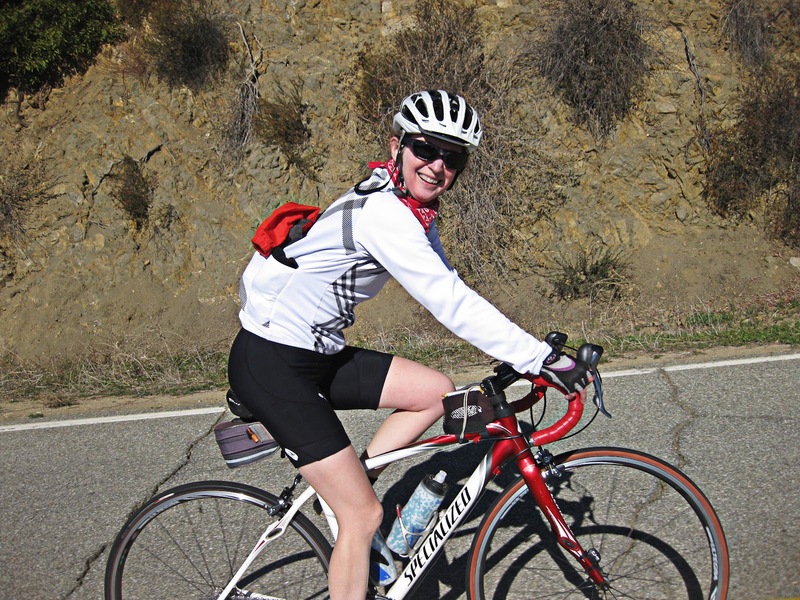 You need to be zipped up, back flat, aero race position, smile and say cheese! Riding up GMR this time around was hard. I was tired. The thought of turning around crossed my mind many times. Riding fixed gear is painfully fun! Its a different type of challenge going both up the mountain and down it. I am sure I will be sore tomorrow but one of these days I am going to see mile marker 12. Mile marker 12 means my goal is accomplished and I made it to Mt Baldy. It may take awhile, but I'll get there.